In the age of Twitter, it seems that nothing stays behind the scenes for long, including disagreements between elected officials. The new Loft Law Bill that was reintroduced into the New York Legislature has received a lot of attention from opposing sides. On the one hand, loft tenants, who stand to receive added protections from the bill, are fighting to have the new amendments passed. On the other side, are the opposing community groups. They believe that the continued expansion of the bill’s coverage could lead to increased gentrification and loss of manufacturing jobs in the North Brooklyn area. Both parties have since reconciled on the bill, but it appears the bill is still being disputed heavily among elected officials who are tasked with passing it into law. And all of it is on display on social media. City Council Member Antonio Reynoso, whose North Brooklyn district would be most affected by changes to the bill, tweeted out a public letter on March 21 that was signed by a coalition of community groups. Among the signatories were Make the Road NY, Churches United for Fair Housing, Los Sures, and the Association for Neighborhood and Housing Development (ANHD). 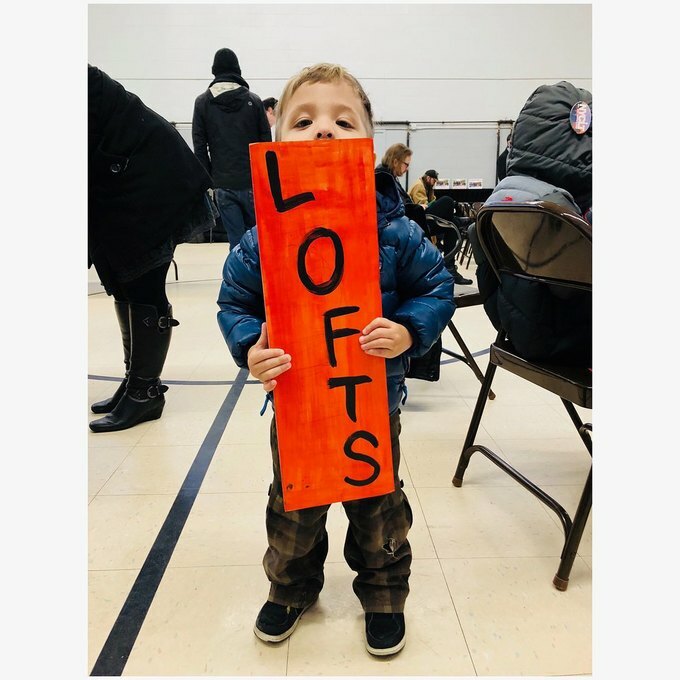 The letter raised concerns that the loft bill amendments that were proposed by Assembly Member Deborah Glick would facilitate the continued conversions of illegal loft buildings in the North Brooklyn Industrial Building Zone (IBZ). The IBZ designation was put in place to protect the manufacturing businesses in the area from being taken up by residential uses instead. The letter also requested a meeting with the assemblywoman. As is the way of politicians of the digital age, Assembly Member Glick tweeted back, implying that a revised amendment had already been reached. I spoke with Sen Salazar and worked out an amendment & amended our bill Wednesday - done to meet concerns - compromise means neither side gets 100% of their demands. But, according to Senator Salazar, that meeting never took place. “[Assembly Member Glick] said that we met. In fact, we just ran into each other in the hallway in Albany on my way to caucus. And she told me that she intended to amend her bill next week,” Salazar told Bushwick Daily on the phone. Sen. Julia Salazar added that she had recommended that the assembly member speak with Senator Brian Kavanagh, who chairs the Committee on Housing, Construction and Community Development, regarding the new amendment. Sen. Salazar herself had joined the thread on Twitter, mentioning a seven-hour meeting with community stakeholders about the bill. 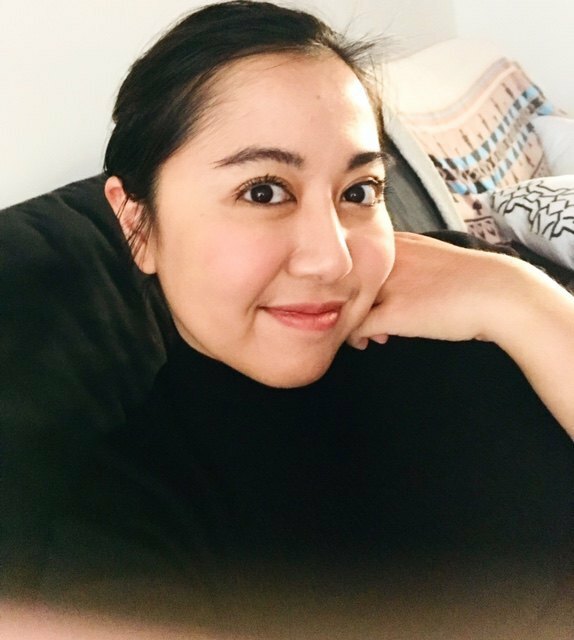 “There is support for the amendment that [Assembly Member Glick] has proposed… [the coalition] can speak to this firsthand, but I know that they’ve been asking her for a meeting, particularly the North Brooklyn community group, has been asking for a meeting for a while to discuss this... I don’t know whether she didn’t respond or declined,” Sen. Salazar said. The meeting was attended by affected parties, including the New York City Loft Tenants advocacy group, an attorney on behalf of loft tenants, and Council Member Reynoso’s office. Councilman Reynoso confirmed that neither his office nor any of the community organizations involved in the coalition had been granted a meeting with the assembly member since the online exchange. “Assembly Member Glick responded on Twitter and I think she believes that was suffice, and that a meeting wasn’t necessary,” the councilman said. The existing bill as it currently stands allows protections for loft tenants in illegally converted buildings, and offers them legal protections. However, a building cannot be eligible for protection if it falls into one of the 18 Use Group categories that are deemed incompatible to be mixed with residential units. Council Member Reynoso said that he disagreed with the proposed amendment from Assembly Member Glick, which would take out Use Groups 16 and 17 from the exemption of protections. The council member is also pushing that the North Brooklyn IBZ be taken out of the bill completely. The change would mean that loft tenants living in illegal buildings in that zoning area would not be eligible to apply for loft bill protections. 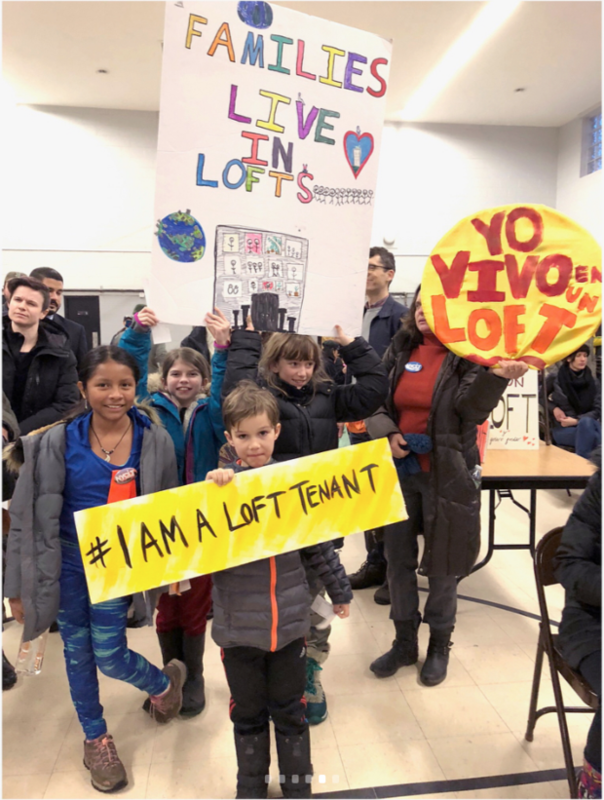 Loft tenant advocates have criticized Council Member Reynoso due to what they perceive as a politically-motivated change in position from the city council member. Council Member Reynoso has been vocal about his opposition against the North Brooklyn IBZ’s inclusion in the bill. 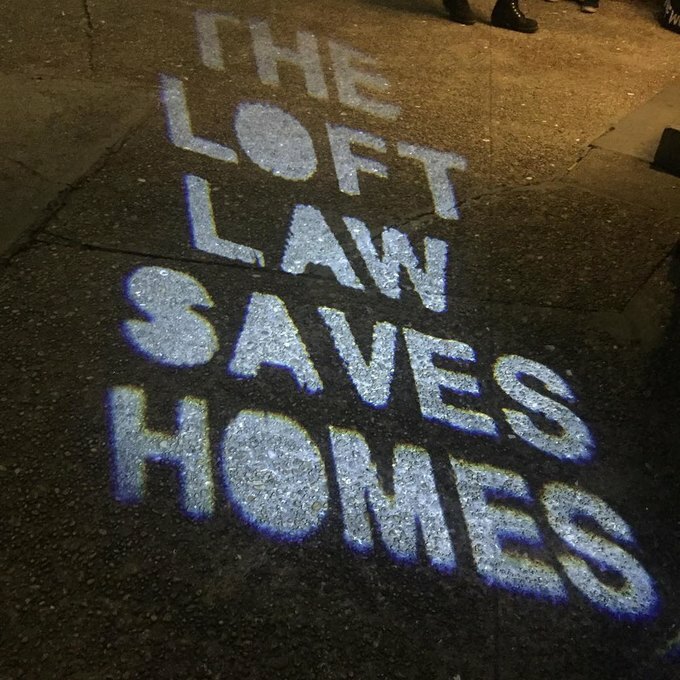 Loft tenant advocates believe that Councilman Reynoso’s first public letter was what caused Sen. Salazar, the original sponsor of the new loft bill, to reconsider the North Brooklyn IBZ exemption. “All it was that I gave [Sen. Salazar] was information. She thought that a lot of that information was value, and she wanted to make sure that the bill reflected the concerns that the manufacturing portions of our district had without jeopardizing the ability to protect tenants that are living illegally in lofts right now,” Councilman Reynoso said. He added that his office “communicates quite frequently” with the senator’s office regarding updates on the bill. Sen. Salazar stated that communications with the councilman’s office regarding the Loft Law Bill were a result of overlap between the districts that they represent, which would be affected by the bill. “Truthfully, I haven’t been communicating with him a lot about it. If anything, ideally… my belief is that the city has jurisdiction over many land use issues and zoning, and to me the core of this issue is land use and zoning,” Sen. Salazar said. “The problem here really is, to be honest, that a state representative in Manhattan is able to pass legislation that has a vastly disproportionate impact on my district in North Brooklyn, and then therefore is consequentially not accountable to my constituents. So I’m put in this awkward position.” Her reference was to Assembly Member Glick’s involvement in the bill. More public disputes over the bill have erupted since Bushwick Daily’s communication with the elected officials. Yikes, this is objectively false. Many loft units are not eligible to become affordably rent-stabilized, even after undergoing full legalization process with the loft board. They’re market rate. Give me a break. The coalition asked for a meeting to get to a place where we could finally move on this legislation and you replied by tweet that a meeting was unnecessary. Stop trying to go after @JuliaCarmel__ for being thoughtful and deliberate about finding a solution. Meanwhile, hundreds of unprotected loft tenants are still uncovered by protections in the Loft Law Bill, and remain under the threat of eviction. Sen. Salazar commented that she is still waiting on input from the city and fire department to craft an appropriate amendment regarding the Use Groups issue. No specific language or policy has been agreed on for the bill. “When legislating, we need to be very careful to not be passing legislation that implicitly says that we are giving the stamp for people to live in a fire trap…. I absolutely believe that there is a compromise in which we protect tenants from being evicted and we also take into account safety concerns and mitigate them through the loft law,” Sen. Salazar said. A vote date on the bill has been pushed back several weeks. There is still no confirmed date for a vote. Cover image courtesy of @475kentlives.